I thought I would share a little update on Isaac since its been nearly a year since my last post. Isaac is 5 years old!!!! He goes to pre-K four days a week for half a day. He loves his teacher this year and has been lucky enough to have an aide nearly all to himself this year. His speech is intelligible by most these days - its pretty amazing to those who haven't seen him in awhile. He still loves books and music. He gets occupational therapy, physical therapy, speech therapy and music therapy (by far his favorite). He got a trampoline for his birthday last year and have been so excited to use it again since we've been trapped in the house with all this crazy weather this winter!!! Yay for spring finally!!!! He's on .4mg of genotropin daily. We are set to have another sleep study in May and a revision on his VEPTR in his back in the next couple of months. He's into repetitive questions right now and pretty particular about his schedule. He has a rough time with transitions but does well when he knows how things are going to go in advance. We have had a few instances this year of hitting at school but for the most part he just resorts to crying when he doesn't get his way. But overall he's doing well. Those are just our areas of concern for now. We have a meeting next month to talk about Kindergarten - which has us a little freaked out - but excited. Its hard to believe how fast it all goes. This is the story of my amazing little boy, who much to everyone's surprise was born weighing only 4 lbs. 15 oz. 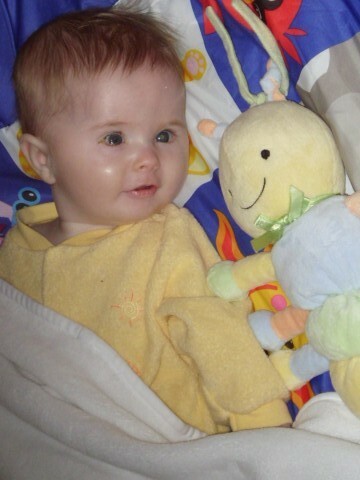 full term with severe hypotonia. 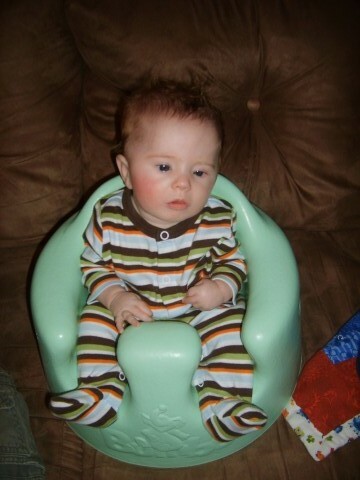 Isaac spent nearly a month in the NICU, before surgeons gave him a g-tube and let us take him home. He has underwent a muscle biopsy and countless other tests seeking a diagnosis for his extreme muscle weakness. 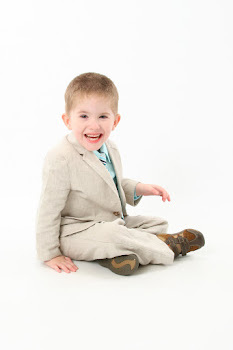 Isaac was diagnosed with PWS when he was 6 months old. This is Isaac's big adventure, and it is flying by faster than I'd ever dreamed! I'm a 31 year old wife and mother. I have three wonderful little kids, sweet & silly Isaac, our wild little girl, Lucy, and our newest, Jack (aka Jack the Giant or Little Hulk). Since Lucy showed up I'm now a stay at home mom to these 3 wild ones. Some blogs I like to follow . . .